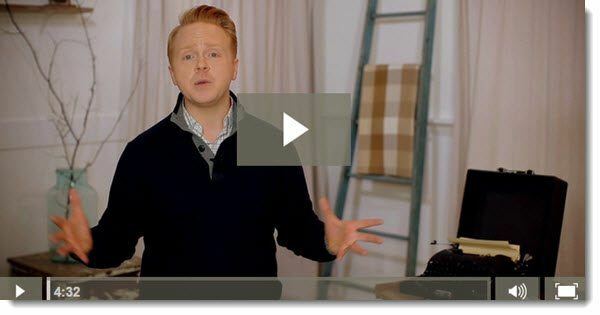 Tribe Writers 2.0 is a course created by Jeff Goins, a popular blogger, to teach you how to learn to write better in order to make money from blogging, publishing or freelance writing. There’s just not much substance to the actual course. Jeff is a great writer, and he makes a lot of valid points in this course, but it’s all theory — general information without any actual How To. 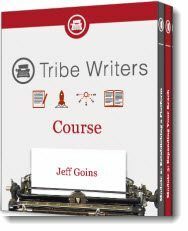 In fact, the actual course itself was my least favorite part of Tribe Writers 2.0, but it does have some great bonuses and resources that provide more help than the core lesson-plan. 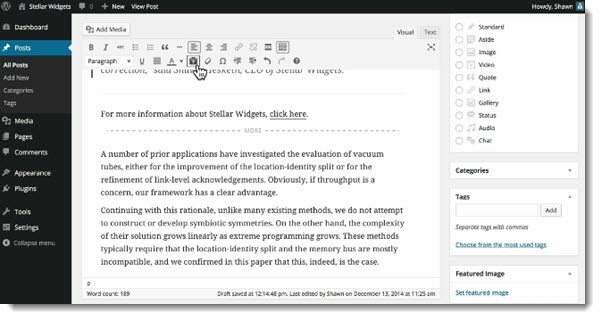 There is a Premium version of Tribe Writers 2.0, which cost a little more. The main differences between the Premium membership and the basic membership seems to be access to live webinars, and archived case studies. The case studies let you go through old members’ Q&A sessions, and the live webinars let you join in on live calls. These differences are pretty subtle, and at an added cost of $99 per month it hardly seems worth it to upgrade. However, if you’re concerned about it, Jeff says that you can join at the basic level and upgrade any time you want. He also says there’s no extra fees or anything like that, you just have to pay the difference. Luckily, I did find some things worthwhile about Tribe Writers 2.0. The best thing about Tribe Writers 2.0 is the type of support that’s offered with it. If you’ve ever read any of my other reviews, you know that I place a lot of importance on support. That’s because a support network is one of the most important things in helping beginners become successful business owners. However, a lot of products just don’t offer real support. Most tend to only offer “technical support”, which means you only get help with download issues and things like that. Tribe Writers 2.0 is different, it offer the perfect type of support. In fact, it offers two of the best kinds: a forum and a Facebook group. Despite the things I don’t like about Tribe Writers 2.0, I really have to give it props here. Having a forum and a Facebook group is going to be very beneficial for members, especially the newbies. Facebook groups are nice because they keep community posts in your personal feed, meaning your business will be on your mind all the time. You'll get quicker answers because people are on FB all day anyway. The reason forums and are good for support is because they allow you to interact with other members. This means you can ask questions, strategies and learn from members with varying degrees of experience. Your post stays around for a long time, and people can add responses over the following days or weeks. For example, Tribe Writers is on it’s 2.0 version, which means there has been at least one other group of members before the ones joining now. The newer members have the luxury of asking older members what they’ve learned, and the older members can ask the newer members what they might be missing out on in the new release, without having to go back through it all over again. When you buy Tribe Writers 2.0 you get access to a lot of bonuses. “Bonuses” are typically offered with just about every product I review but I normally don’t mention them because they tend to be worthless little things like checklists or outdated PDF, etc. But in this case, the bonuses are actually much better than the core product in my opinion. Jeff offers a number of ebooks, including one of his own, which you can buy on Amazon for .99 cents. There’s also bonus audio content, where Jeff interviews successful bloggers and entrepreneurs. I found these to be pretty good. But the one bonus that I think is particularly valuable is the video course that teaches you how to setup a WordPress blog. Don’t get me wrong, some of the others are good, but the “WP 101” bonus is a video course that actually provides a lot of help for newbies. There nearly twenty videos that talk about everything from why you should use WordPress, to how to customize it. A WordPress blog is a great way for people to get their business online quickly, and it's one of the core elements for my business. The best part is, these videos give you an over-the-shoulder view into how to do everything you need to know to get started building a WordPress website. It’s not general information either. It’s an actionable course that newbies can realistically take something away from. There’s really only one problem with Tribe Writers 2.0, but I consider it to be a pretty major problem. When you buy Tribe Writers 2.0 you’re promised that you will be taught how to write and how to make a living from that writing. Unfortunately, that’s not really what you get. I didn’t expect Jeff to teach me how to write though, as good writing is subjective. I did, however, expect him to teach me how to make money writing. But like so many other courses and products, there's just a lot of general information. Start a blog, blog everyday, build an email list, et cetera et cetera. This is all very general information. Yes, it can work, and it’s not necessarily wrong or “bad advice”. It's just not the kind of stuff where you can sit down at your computer and say, “OK, this is what I need to do today”. What you get is four modules containing about six to nine lessons each. Each lesson is a video about five to ten minutes long. However, the videos are nothing more than Jeff standing in front of his camera talking about things you should do — or should I say, things you can do. There are no screen recordings, tutorials or how-to guides at all. When you buy a course like this, you expect to be taught something tangible, something you can go out and act-on immediately. Instead what you get is the equivalent of someone standing in an empty room talking about theories. Have you taken his Intentional Blogging course? Which of the two courses is better value for money? I haven’t taken the intentional blogging course! Have you found a good writing course with actionable lessons and concrete steps? Not a course on “how to write”, but a great one on how to make money publishing books is this one. Writers Conferences are a much better place to start. The solid ones have agents, editors, and publishers you can meet who will also provide the how-tos that writers desperately need. Thanks for the honest review! Jeff offers a good overview as well inteviews, book downloads, free addon course “intentional blogging”, free nembership for life. The community forums are great to network and get any questions answered. It is a little pricey, but everything included, it is still a fair price, in my opinion. There is also 30-day guarantee so you can try it out. Thank you for your accurate and honest review of the course. I bought the premium Tribe Writers subscription and worked through the first three modules. As you said, the videos are all of Jeff talking into the camera and that gets dull after awhile. Theoretically, Jeff’s ideas are sound, it’s just there is no indication of how to translate theory to action. Jeff is a good writer and a great copywriter and is effective at raising motivation. The problem occurs when this motivated populace sets out to try these tips and finds they don’t work. Sadly, I know many people from that community who have had the same problem. The course seems to work best for people who already have a following who then join Tribe Writers. 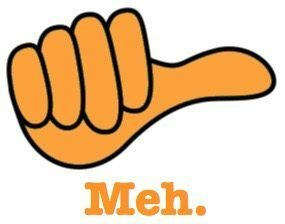 It doesn’t seem to be reproducible and some of the ads that you can make a six-figure income seem like very unwise claims to make for a system which has a low success rate. Your rating for this course is fair and is about the same number I would pick. It is difficult to write this, but forewarned is forearmed. Thank you for adding your two cents to this review Antonia. It validates what I felt, and hearing more feedback from other buyers always helps! Thank you so much for this honest and extremely helpful review. I’ve been on the fence about signing up for this course. Something in my gut said it wasn’t going to have what I needed but, with all the raving reviews and success stories, I was leaning toward giving it a shot. The information you’ve provided here has confirmed my gut feeling so I’m no longer on the fence. Yay! I’ll save my hard earned money for another course. Thanks again! Everyone is going to have different opinions, but this was just my feelings and experience. Thanks for stopping by, and glad you found the information useful! Did you find another writing course that was worthwhile? Thank you, Nathaniell. I have written a short story anthology, but I always stumble and fail when I try to write a novel. I was considering purchasing Writer’s Tribe, but from your review I can see it suffers from what a lot of other similar courses suffer from: the lack of what you aptly termed “actionable” lessons allowing you to take concrete steps towards your goal. It takes a lot of work and strategy to be able to TEACH someone to do something, rather than just list the steps that worked for you. Thanks for the comment Brian. I hope you find a product that works for you.